Advances in Developing Human Resources Seeks Editor-in-Chief! Advances in Developing Human Resources is currently welcoming applications for the position of Editor-in-Chief! Published quarterly, each issue of Advances in Developing Human Resources is devoted to a different topic central to the development of human resources. The journal has covered subjects as wide-ranging and vital as performance improvement, action learning, on-the-job training, informal learning, work-life balance, career development and human resource development, leadership, and the philosophical foundations of HRD practice. The term of office is three years, beginning in July 2015. A stipend is provided. The successful applicant will have an advanced degree in HRD or related field and be currently working in an HRD role in education, business, government, and/or community sectors. Demonstrated experience with the editorial process (as editor, associate editor or editorial board member) is preferred. Please send completed applications to Kim McDonald by December 15, 2014. Fort Wayne, IN 46805 click here. More information about the journal can be found by clicking here. 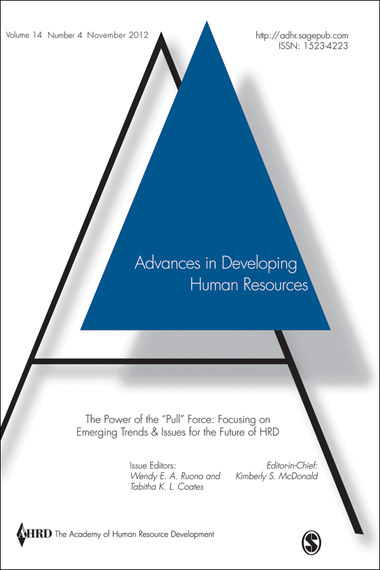 To view the Table of Contents of the most current issue of Advances in Developing Human Resources click here. Want to be notified of all the latest news like this from Advances in Developing Human Resources? Click here to sign up for e-alerts! Research to Practice: ADHR focuses on the issues that help you work more effectively in human resource development. 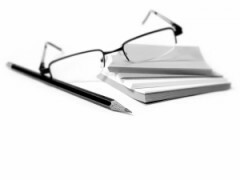 The journal has covered subjects as wide-ranging and vital as performance improvement, action learning, on-the-job training, informal learning, work-life balance, career development and HRD, leadership, and the philosophical foundations of HRD practice. Dynamic and Relevant: ADHR is easy to read and is highly relevant to both scholars and practitioners. Dealing with the demands of the global economy and a diverse workforce can be difficult. From ethics to on-the-job training, from leadership development to action learning to cultural competence, ADHR gives you a quick, easy-to-use reference on each area important in your practice. Complete your library of HRD literature with the comprehensive coverage inADHR – the essential tool for human resource development specialists. Each Issue of Advances in Developing Human Resources is available for course adoption or for use in a training environment. Multiple quantity discounts apply. Contact Susan Lynham, Editor-in-Chief, for more information.